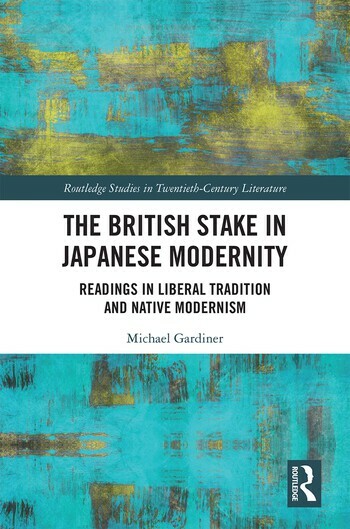 This book describes firstly a Japanese modernity which is readable not only as a modernising, but also as a Britishing, and secondly modernist attempts to overhaul this British universalism in some well-known and some less-known Japanese texts. From the mid-nineteenth century, and particularly as hastened by the spectre of China in the First Opium War, Japan’s modernity was bound up with a convergence with British Newtonian cosmology, something underscored by the British presence in Meiji Japan and the British education of key Meiji state-makers. Moreover the thinking behind Britain’s own unification in the long eighteenth century, particularly the Scottish Enlightenment, is echoed strikingly faithfully in the 1860s-70s work of Fukuzawa Yukichi, Nakamura Masanao, and other writers in the ‘Japanese Enlightenment’. However, from around the end of the Meiji era, we can see a concerted and pointed response to this British universalism, its historiography, its basis in the sovereign individual subject, and its spatial mapping of the world. Elements of this response can be read in texts including Natsume Sōseki’s Kokoro, Watsuji Tetsurō’s Fūdo (Climate and Culture), Tanizaki Jun’ichirō’s In’ei Raisan (In Praise of Shadows), Kawabata Yasunari’s Yukiguni (Snow Country), and various work of the mid-period Kyoto School. Rarely understood in terms of its British specificity, this response should have something to say to modernist studies more generally, since it aimed at a pluralism and de-universalisation that was difficult for mainstream British modernism itself. Indeed the strength of this de-universalisation may be precisely why these ‘native’ Japanese modernist tendencies have not much been accepted as modernism within the Anglophone academy, despite this field’s apparent widening of its ground in the twenty-first century. Michael Gardiner is Professor in the Department of English and Comparative Literary Studies at the University of Warwick, England. His previous books include The Cultural Roots of British Devolution (2004), At the Edge of Empire: Biography of Thomas B. Glover (2008), and The Constitution of English Literature (2013).